If you’re unfamiliar with corn tortillas, they are much smaller and denser than their flour counterparts. There are different options of corn tortillas, including yellow corn and white corn. While both are good, my family prefers the white corn. One of the potential drawbacks to corn tortillas is they are often more brittle than flour tortillas, so you may need to double up on the tortillas or put in less filling. But the added flavor is worth the slight nuisance. The smaller size is one of the appeals of corn tortillas. While you can get smaller brands of flour tortillas, like taco or fajita, the standard size is catered more toward burritos or enchiladas. This is great when you’re making those meals, but can feel too large and cumbersome for tacos. Corn tortillas are perfect for a taco. The math is also in your favor with corn tortillas. You can eat four corn tortillas to two flour tortillas, and still usually come away consuming fewer calories. Besides being smaller, corn tortillas pack some serious flavor. The enriched flour tortillas are, well, kind of boring, in a way white bread is boring. Yes, it’s familiar, but it’s lacking in flavor. On its own, a corn tortilla isn’t particularly tastier than a flour tortilla, but when it’s combined with other ingredients, the flavor of the corn tortilla joins in as its own distinct and powerful flavor. Plus, when you think of authentic Mexican food flavors, part of that authentic taste comes from the use of corn tortillas. From a pure economic standpoint, corn tortillas are the way to go. A package of corn tortillas is fairly comparable in price to a package of flour tortillas, but you get more corn tortillas. A package of corn tortillas often comes with around 30 tortillas, compared to the typical dozen of flour tortillas. Again, corn tortillas are smaller, but it’s still a good value. Perhaps the greatest thing about corn tortillas is what happens when you deep fry them, making tasty dishes like taquitos. While fried flour tortillas are darn tasty in their own right, fried corn tortillas are amazing! 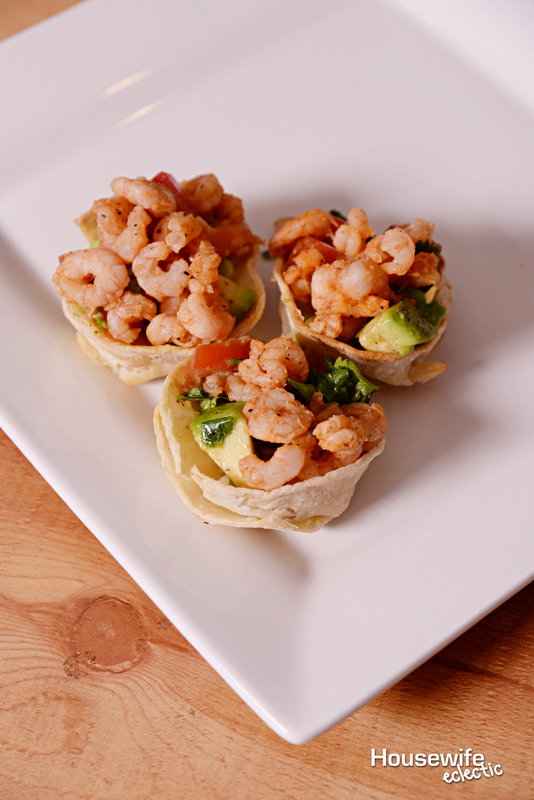 The tortilla transforms into a firm, crispy, flaky shell that is really ideal for the hand held nature of taquitos. Plus, corn tortillas crisp up really fast in oil. Mmm, my mouth is watering just thinking about it. Want to make your own homemade tortilla chips? 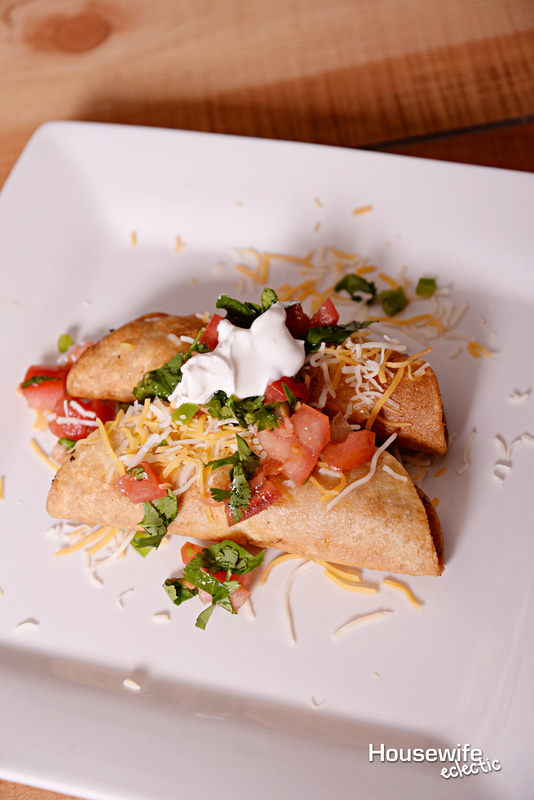 Cut corn tortillas into quarters and deep fry them until they crisp and turn a golden brown. Place the chips on a paper towel lined plate and sprinkle with salt. They are not healthy at all and full of calories, but they are delicious! You may need to check the packaging to be sure, but most corn tortillas are gluten free. By switching from flour tortillas to corn tortillas you can still enjoy your favorite Mexican food dishes. This is a huge win for people who struggle to find delicious gluten-free options. OK, I’m Starting to Be Convinced, Now What Do I Make? Give it a try! It may take a bit to get used to at first, but try those BBQ taquitos and you’ll be hooked. I actually love corn tortillas. I think they taste better than the flour ones. I know we always used them because my step mom can't have gluten as well. I'm not sure I have ever had a corn tortilla before. 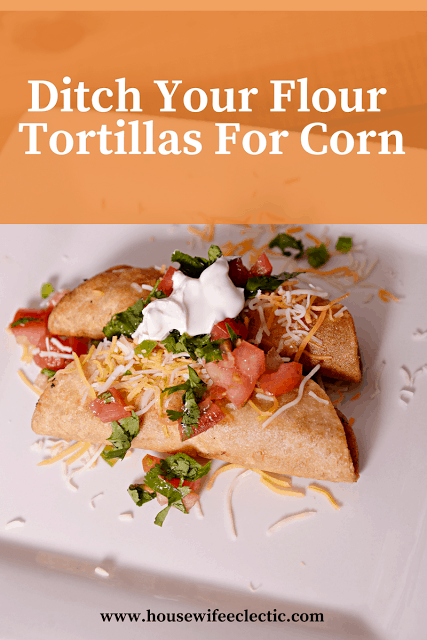 I always purchase flour tortillas for our family, but I think I am going to try the corn ones, they sound delicious! I am intrigued by using more corn tortillas, as I normally use flour. But, I like how they are fewer calories (even with more) and it would be fun to make tortilla chips with them too! I too love corn tortillas. Mainly because I'm gluten free and that is the safest option. I love corn tortillas! Growing up my dad would have them with everything instead of bread or flour tortillas so I always prefer corn. I recently went gluten free and was pleasantly surprised when I found that I much prefer the taste of corn tortillas to flour ones Score! I recently made the switch from flour to corn and I'm never going back! We feel so much better after eating them! I love the corn but I didn't know all the nutritional benefits. Thank you for sharing those, now I can make a good argument with the husband! I definitely prefer flour over corn and my husband is the opposite. I think I'm more inclined to switch to corn now that I've read this. Nope, sorry can't do it. I love all your points but flavor wise the flour ones win hands down. It's a personal choice though, I know others that swear the corn ones are better. I buy the smaller wheat tortillas too. I don't think I've ever tried corn tortillas. Just proves your point that Americans have all been eating the Americanized version of Mexican food. I'll have to try these! Corn tortillas are definitely healthier. Alas, I don't like them as well as flour tortillas. Perhaps I haven't tried enough to really know, though. I'll give them another try! If I even needed an excuse! My husband is all flour tortilla and I"m corn. We always debate over which one is better but maybe this will finally convince him! I love corn tortillas and we usually pick them over flour. I do wish they held up better though. I often find they fall apart on me. I really don't know if I have ever had corn tortillas like this. I have had the crunchy ones. I really can't tell much of a difference between corn and flour tortillas. I like them both, but I think I prefer the corn ones. I am totally fine with using corn tortillas for my enchiladas but for tacos I always want flour! I don't really like the taste of corn tortilla by itself but if there's red sauce on it them I like it. I have tried corn tortillas a couple times. They are so delicious when making meals when you want that more authentic taste. I have never tried these kind of tortillas before. I am going to have to give them a try. This is all I eat. I do not like the regular shells, corn all the way for me! I agree with you. Corn tortillas have a much better taste, so I have never been a fan of the flour tortillas. I just recently switched to corn tortillas and noticed the difference in flavor right away! I wish I hadn't waited so long to switch.